Robert Morris was born in Liverpool, England, in 1734, the son of ironmonger Robert Morris, Sr., and Elizabeth Murphet. When the senior Morris emigrated to the colonies, he settled in Maryland and became a tobacco agent. Shortly after young Robert joined his father in Maryland in 1747, he was apprenticed in the Philadelphia mercantile house of Charles Willing. Here he quickly exhibited exceptional talent for commercial pursuits and developed a lifelong friendship with Thomas Willing, the son of Charles. In 1757, the two young men became partners in the firm of Willing and Morris. Their enterprise became one of the best known trading companies in the colonies, developing mercantile ties in Great Britain, Portugal, Spain, and the West Indies. By 1773 the firm owned at least ten ships and chartered others as the need arose. Even before the American Revolution, Morris was active in the 1765 fight against the Stamp Act and was a signer of the Non-Importation Agreement. In 1775 he served as vice president of Pennsylvania’s Committee of Safety, particularly charged with serving as banker and procurer of arms. That same year he was elected to the provincial assembly and as a Pennsylvania delegate to the Continental Congress, where he was vitally involved in committees relating to trade, war, the navy, and foreign affairs. In 1776 he signed the Declaration of Independence and began his role as the emerging nation’s chief financial agent, on numerous occasions using his savvy as merchant and financier as well as his personal credit to keep supplies coming and the public credit sound in a complicated and difficult situation. On several occasions he personally rescued the Revolution from ruin. As the Revolution progressed, Morris was reelected to the Pennsylvania assembly, attended the second Continental Congress, signed the Articles of Confederation, and founded the Bank of North America, the first incorporated national bank. After playing a role in the 1787 drafting of the Constitution, Morris served as Pennsylvania’s first senator to the United States Congress, focusing primarily on trade and commerce. With his usual energy, he served on forty-one committees, writing committee reports on fifteen. In the midst of all these activities Morris found time to serve as a trustee of the Academy and College of Philadelphia (now the University of Pennsylvania) from 1778 until 1791. Sadly, after his term in the Senate, Morris engaged in land speculation, and his early successes in this area encouraging him to become involved in an ill-advised partnership with John Nicholson. When he came into financial ruin through the dishonesty of his partner, Morris was imprisoned for debt from 1798 until his release in 1801 due to the passage of a federal bankruptcy law. His letters reveal that, even in prison, Morris demonstrated his generosity and good will, not vindictiveness. 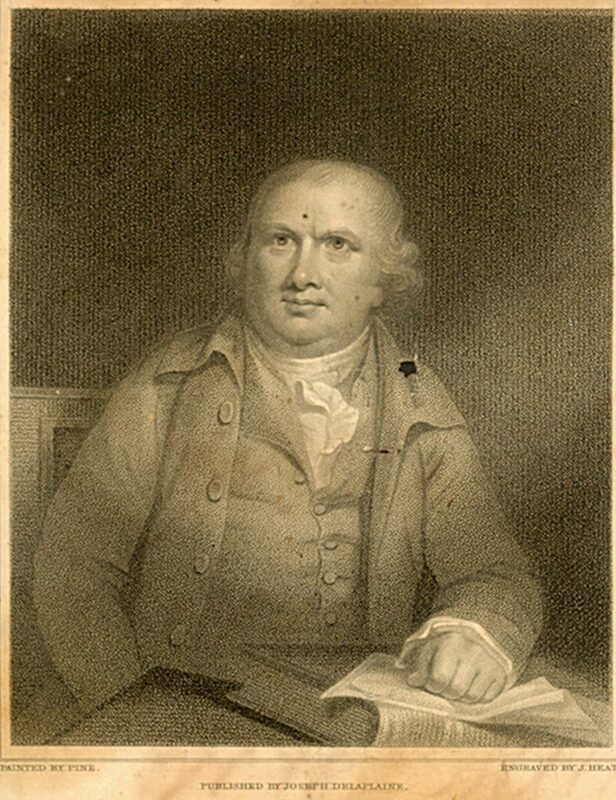 Morris died in Philadelphia in 1806. He and his wife, Mary White of Maryland, had seven children.